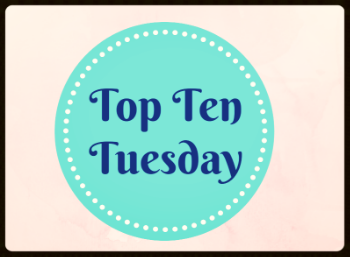 Top Ten Tuesday is a weekly meme hosted at The Broke and Bookish. 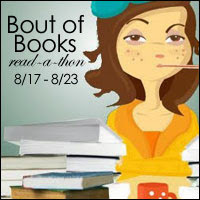 Each week the bloggers at The Broke and The Bookish put out a topic, and discuss their top ten options for said topic. This week’s Top Ten is: Top Ten Authors You’d Love to Meet. Kevin Hearne Author of the Iron Druid series. He’s an incredible author with an amazing talent for world shaping, creating characters that stick with you long after the book is finished, and dropping some of the best humor into books. He’s so talented and I’d love to just pick his brain and talk to him for a little while. 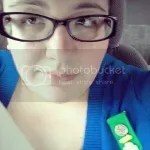 Tamora Pierce. This woman was so influential in shaping what I read and my introduction to fantasy/high fantasy. I love her books, and I have started to collect them over the years. She’s got great strong, independent female lead characters who are good role models for young adult readers. Her world building is lush and descriptive and she’s so insanely talented. Madeline L’Engle If I had a time machine, I’d go back to when she was alive and again, just say thank you. She’s created characters that stand the test of time–strong female, SCIENCE LOVING female characters who make a mark in their world. Meg isn’t a damsel in distress, she’s a whirlwind of spitfire and sass. C.S. Lewis Again, I’d need a time machine, but I think it would be so worth it to sit down and have a cup of coffee and just talk to this man. His writing has guided me throughout the years, both his fiction and his essays/personal reflection books. I’m in awe of what he created and I’d love to just listen to him talk about the worlds and characters that have inspired so many. J.R.R. Tolkien Because you can’t have one without the other, and frankly I’d love to sit down with both of them at the same time. Both powerhouses of their time–heck powerhouses even now. They’re so influential and amazing that I would just sit there and listen to them talk shop for years. Anne Bishop. Anne Bishop was the first dark fantasy that I read, and I’d love to meet her and talk to her to see how her mind works. The Black Jewels was a series that was passed around from friend to friend in high school. When I discovered her Pillars of the World series? I fell even more in love with her writing. I love her new series as well. Tanya Huff I kind of love her Keeper series–a lot. She’s another great female fantasy author who creates strong female lead characters. I will probably get the chance to meet her next year at one of the cons I’m attending. Judd Winick. If you’ve followed me on twitter recently, I’d like to apologize for the random “YAY JASON” tweets. When I went to comicon in March with friends it really reawakened my love for comic books, and I fell headfirst into DC’s New 52– Especially Red Hood. Judd has created this amazingly abrasive character in Jason Todd. He is my favorite Bat!Family character, and I would love to have Judd sign my copy of Lost Days. Because that would practically make my life. Kazuya Minekura created Saiyuki, one of the first manga that I ever read. I love her story line and her illustrations. The characters she’s created in all of her series are some of my all time favorite manga/anime characters. Simon R Green I am so absolutely in love with this man’s writing. I had the chance to meet him–he was in Seattle a few weeks ago, the only problem was his signing was in the middle of the week, rather late in the evening so there wasn’t really any way for me to get up there and back at a decent time. His Nightside books are my favorite books that I’ve read in a very long time. The series is finished, but it’s so good.k So good. I can’t even really talk about how much I love it– it tends to disintegrate into high pitched squeals. So I’ll leave you with a quote from one of the books. Those are my Top Ten Authors I’d love to meet. Go ahead and share your top ten if you’ve made a post. « Back with exciting news! So awesome to see how much love Tamora Pierce is getting this week! She seems to crop up on almost all of my lists but sadly there were so many awesome authors I wanted to include so she didn’t make it onto this week. She was so influential in shaping what I read as a child and what I love to read today. I love her books and it would be so incredible to meet her. Love your choices! Great list, a few of my childhood favs. I went with a lot of dead authors! Great list! And thank you for stopping by my TTT! C.S. Lewis would be great to meet! I always thought it’d be awesome to meet Stephen King!! I bet he has some crazy stories to tell.